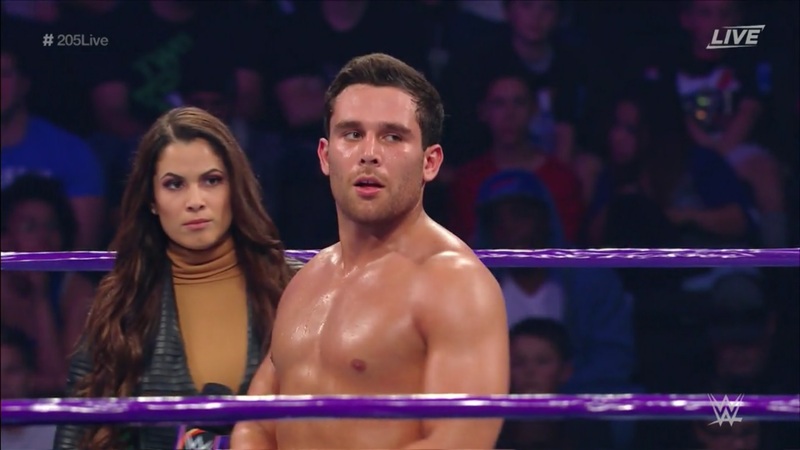 On 3rd January, WWE aired the first 205 Live episode of 2017, highlighted by "The King of the Cruiserweights" Neville taking on former Cruiserweight Champion TJ Perkins. The episode also featured Tajiri, Noam Dar, Jack Gallagher, Tony Nese and Mustafa Ali, but would that be enough to kick-start the brand's year? 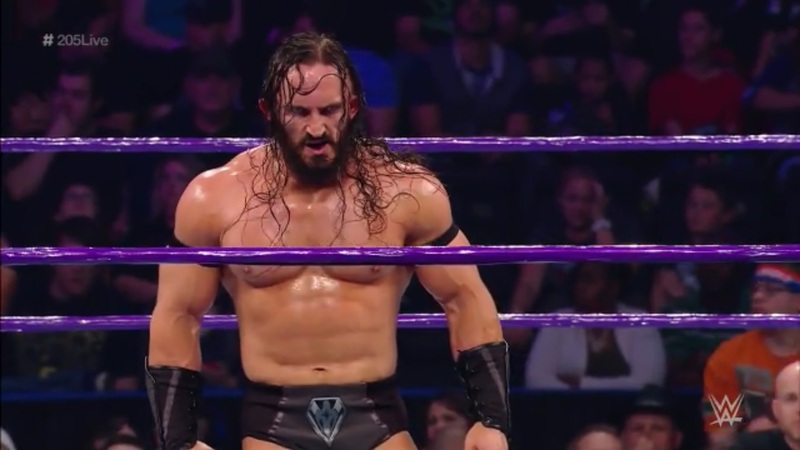 Neville continued to be featured prominently this week, defeating TJ Perkins to give him his 4th win in a row since returning at Roadblock: End of the Line. This was a very watchable outing, with the roles of each clearly defined, with Perkins attempting to use his speed, whilst Neville wrestled smart, taking his time and using his savvy to take control at numerous points throughout, whilst also always having his eye on hitting his new superplex finish. The two paced the action well across the twelve minutes, knowing when to turn up the heat and placing the more impressive spots (eg. Perkins' springboard Frankensteiner) at the right points to drive the contest forward. I would have liked to see more of the pair duking it out with strikes and reversals, like was when The Fil-Am Flash went for the TJP Clutch and got caught with a tasty German suplex, as the pair have the potential to produce something special in this style. The finish was handled well with Perkins selling a leaping enziguiri as if he'd been knocked out, leading up to a superplex where it seemed like Neville was having to heave a deadweight up and over, having clearly already earned the win. As enjoyable as this match was, it must be noted the pair could be having matches above this level together if given the right opportunity, making it a shame that WWE has already given them two bouts together, therefore devaluing any potential future clashes. The shows only other notable match was Mustafa Ali pinning Noam Dar in a strong match that managed to grab the initial indifferent crowd. Both men deserve heavy praise for managing to win over the Jacksonville audience, having the confidence to weather the early storm and build something that was both engaging and exciting by the time of the final bell. Whilst it won't be in the discuss for Match of the Year, or even Match of the Month, being able to connect with audience through wrestling, especially one that seems to have decided it isn't interested, is a skill that should see both Dar and Ali well in their WWE runs. The contest was fairly simple in it's execution with The Scottish Supernova working a no-nonsense style early doors, focusing on Ali's arm, before a comeback (all with Ali selling wonderfully), a handful of near falls for each, before Ali picked up the upset win with a beautiful imploding 450 splash. The pair took their slim six minutes and work within the boundaries to create a match that benefited them both, you can't really complain about that! Tajiri defeated Sean Maluta – Jack Gallagher defeated Tony Nese via Disqualification after Ariya Daivari interfered. 205 Live earns itself a relatively low rating because of the simple fact that it didn't make the most of it's 45 minutes. Despite two good matches, the rest of the show ended up coming across as a budget version of WWE's other weekly programming. Backstage segments, short matches or run-in finishes, it just doesn't feel like it's own entity yet. The brand needs to start using it's time on Monday Night RAW to build any stories it wants to tell, before utilising this time to create exciting and entertaining match ups that can create a buzz among the demographic that is mostly likely to be seeking it out online. Overall, my opinion on 205 Live is not bad, could do better.